Letters from Summer Camp: What Have You Learned? 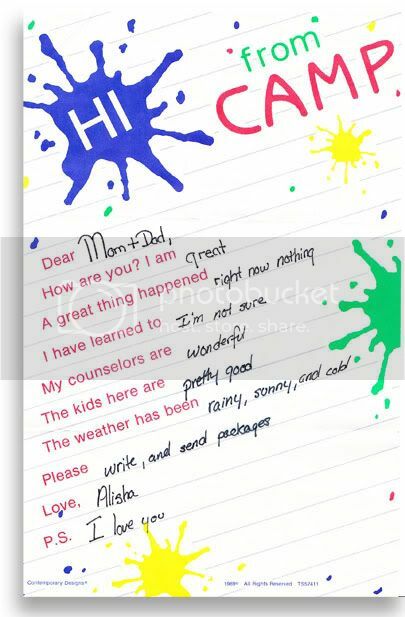 Alisha needed a fill-in camp letter to let her parents know that she's great, but nothing great happened. Also, she hasn't learned anything. It's every parent's dream. Well, at least she didn't write, "I Hate Camp, Take me Home!" So happy to have saved these letters. All parents should save them.